Hub and I was not very hungry, so we decided to take our time driving around and choosing random restaurant instead of heading straight to our regular haunt. 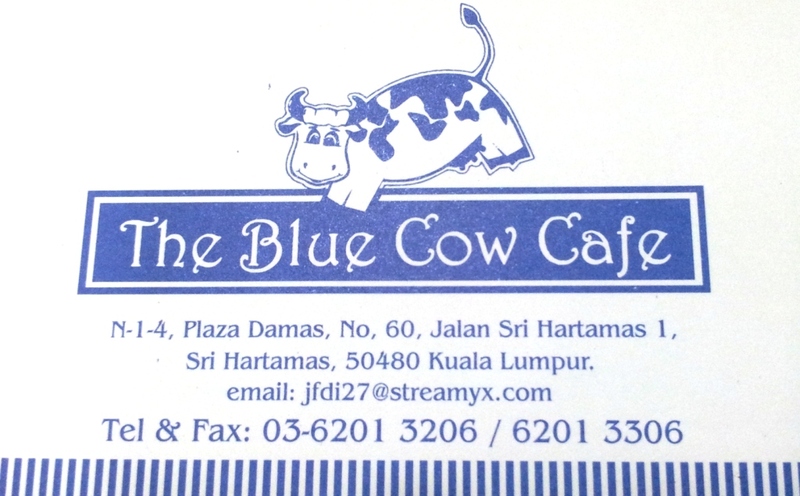 So, that’s how we ended up finding the Blue Cow café in plaza damas, hartamas. When we walk in, it felt like I was back in Melbourne’s butcher shop. Huge varieties of meats are stack neatly behind clear glassed refrigerated cabinets. I fell in love even before I sat down to dine. Since it was our first time there, we decided to try their Meat Platter. 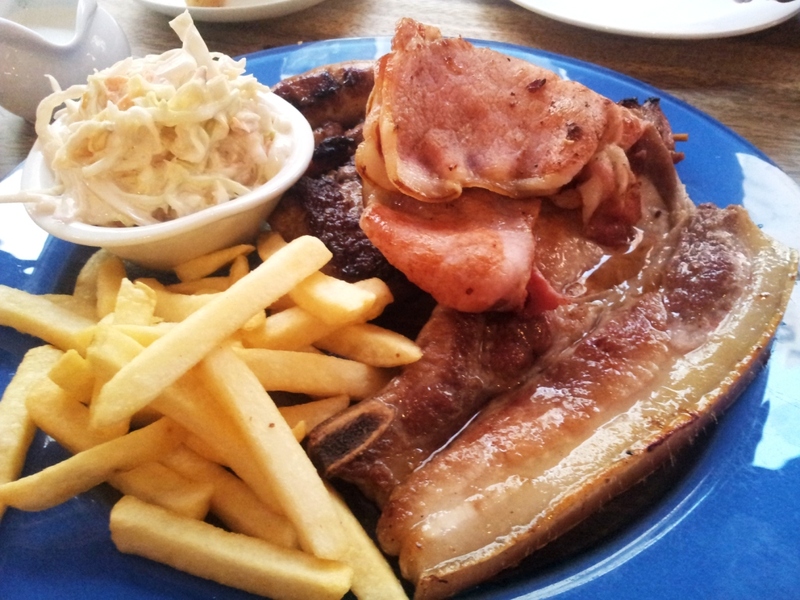 They have a few platter sizes which you can choose from and take note that their portions are quite generous. 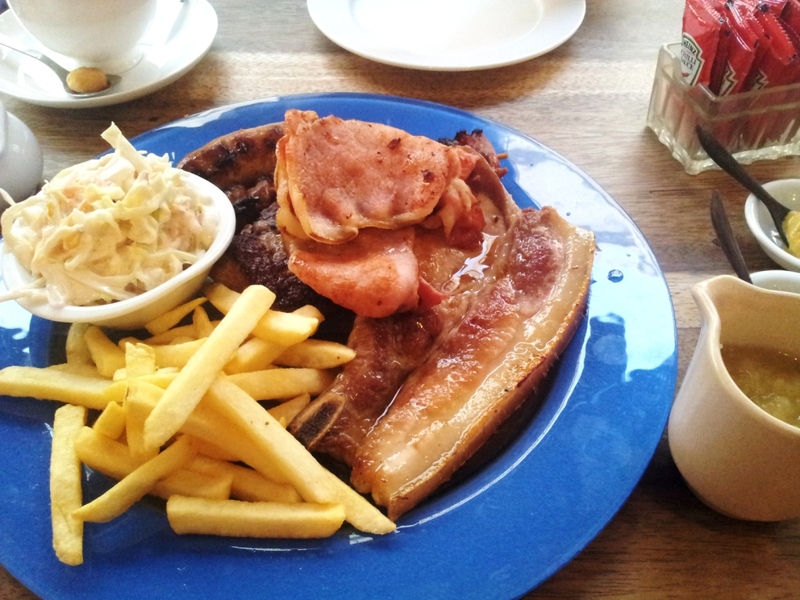 We decided to try the medium platter, with the choice of 1 sausage, 1 burger patty, 1 kebab (for the sausage, patty and kebab, you can choose between beef, pork, lamb or chicken), 1 pork chop and some bacon, serve with mustard, mint sauce (if you choose lamb) and apple sauce. The platter comes with 2 sides. We chose coleslaw and chips. 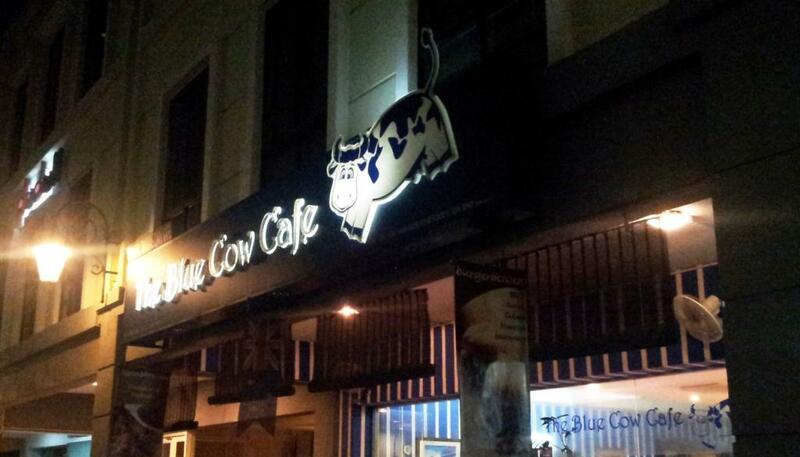 *** YES – they serve pork even tough the cafe is call blue cow. 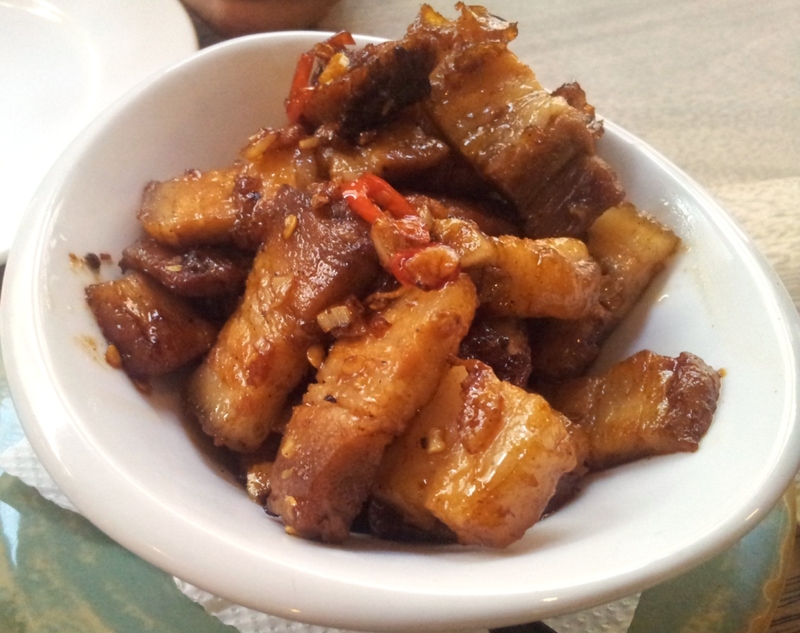 Worrying that it might not be enough (hub is a HUGE meat lover), we ordered an additional side of Stir-Fry Roast Pork. I like this dish as the flavour has more punch to it. It’s stir-fried with some garlic and chilli padi. Hub was not really impressed with this as it’s quite common to get this dish in typical Chinese restaurant. The price seems a little steep too for a small bowl if compared to the platter we ordered. Hub even remarked that eating here reminds him of Lygon street in Melbourne.